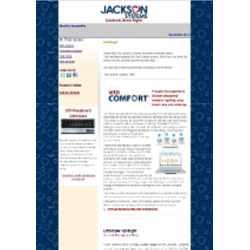 The Web Comfort WEB-TM-PLUS Energy Manager from Jackson Systems is a rugged, industrial control processor that is the heart of innovative integrated energy management systems powered by Web Comfort software. 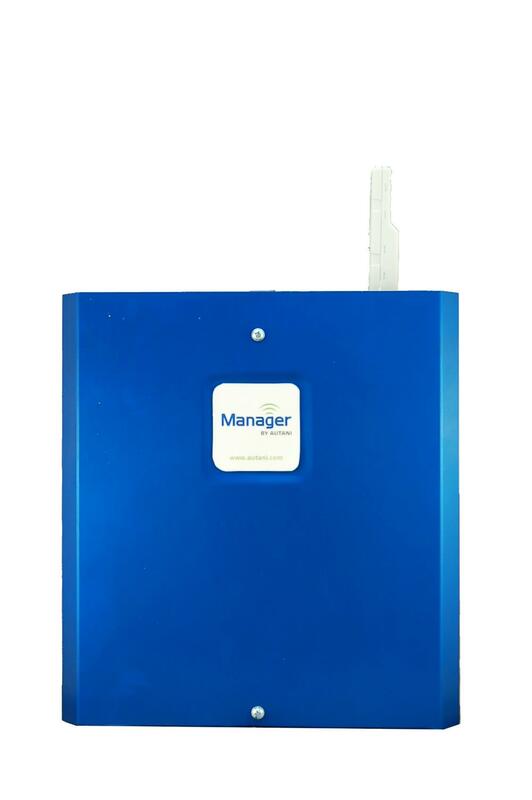 The Energy Manager coordinates all energy management functions utilizing Web Comfort wireless network. 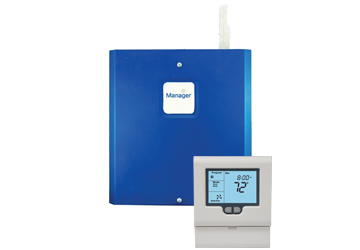 The compact Web Comfort WEB-TM-PLUS Energy Manager receives input from environmental sensors, local controls and metering devices throughout a facility. Based upon sensor input, schedule, local input, curtailment, and event information, adjustments to lighting, HVAC, fans, networked PCs and plug devices are implemented in real time to minimize energy waste. Communication with other Web Comfort Meters, the Web Comfort Energy Manager running metering software and other Web Comfort devices (such as lighting and HVAC controls) is via a reliable wireless mesh network. WEB-TM-PLUS wirelessly controls up to 400 devices. "I have been very happy with the Web Comfort System. We have seen a significant energy savings of about $750 per month since we have installed the Web Comfort System." 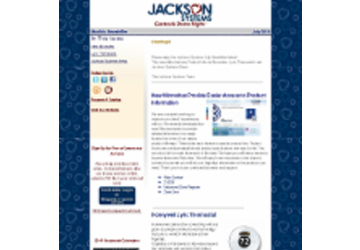 The July newsletter features Product Info via Microsites, Lyric Thermostat and Jackson Systems News. 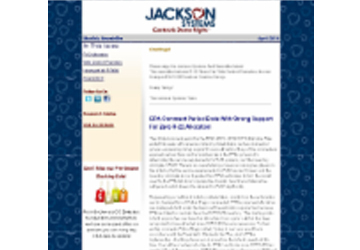 The April newsletter features R-22 Phase Out, Web Comfort Promotion, the new Honeywell Wi-Fi 9000 and our Creative Survey. 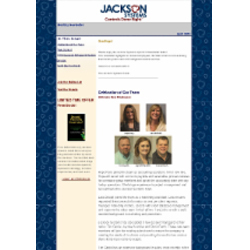 The November newsletter highlights our Web Comfort product, Filter Fetch, our Web Site launch, and the Jackson Systems account team. The April newsletter highlights our newest employees, the Web Comfort communicating thermostat system and ICOR refrigerant reclaim services. The Jackson Systems Web Comfort™ Energy Management System delivers exceptional value by enabling multiple thermostats, lighting and load sensors, meters, fans and outlets to be wirelessly networked throughout a building. The Web Comfort Energy Management System provides an easy-to-use, web-based dashboard for programming, monitoring and control. Each Web Comfort Manager is enabled for Internet connectivity and can be accessed from anywhere in the world via a standard web browser. Broken or missing wires are no longer a problem. Jackson Systems has a wireless solution for nearly any application, residential or commercial.